There is a remote mountaintop in north-eastern Laos called Phou Phathi, and the locals said it was a place where phi, or spirits, lived. By the end of March 1968, it had claimed a few more souls, and the ghosts of a divisive conflict would linger on in American history. 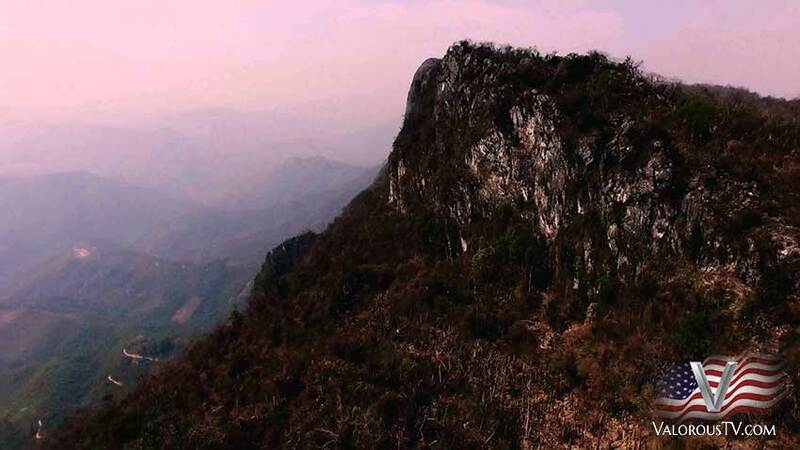 The Phou Pha Thi mountain is the highest in Southeast Asia and a short 120 Miles from Hanoi, the distance between San Diego and Los Angeles, CA. This area was an important part of the U.S. strategy to support the Republic of South Vietnam because it was one of the main gateways between North Vietnam and Laos. The communist forces used it to smuggle troops and supplies across the border into Laos, while the U.S. used it to conduct surveillance and support missions against North Vietnam. 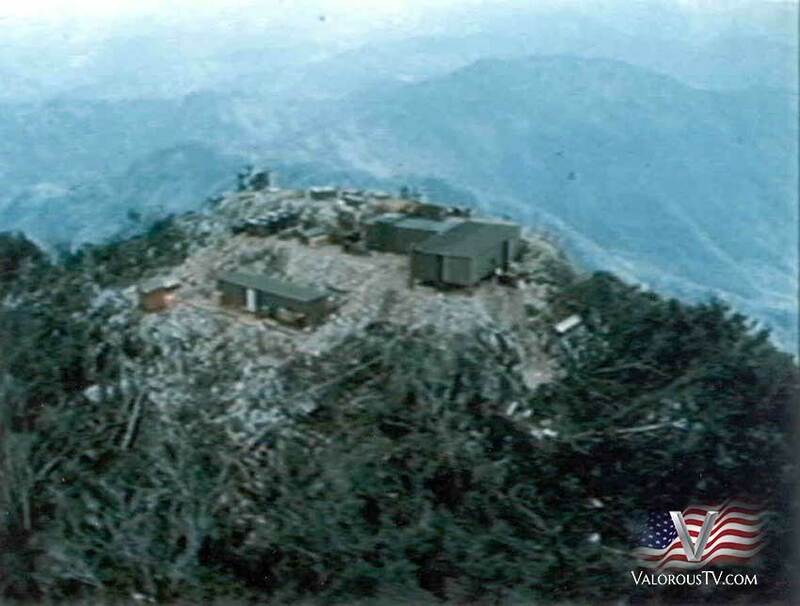 Here the Air Force constructed a Tactical Air Navigation (TACAN) station. Installed at this location was a top secret, state of the art piece of electronic equipment to direct air strikes conducted during Operation Rolling Thunder, without the pilots seeing their targets. The advantages were: 1) that the aircraft could fly at an altitude reachable only by Surface to Air Missiles (SAM), and 2) bombing could be accomplished in all types of weather day or night. The site was so secret that existence and location were only declassified in 1983. By the end of 1967, Lima Site 85 had become vital to the U.S. operation within the country, and it directed over 50% of all bombing done against North Vietnam. The advantages for Lima 85 were obvious, but the political obstacles were difficult. Laos was a neutral country. According to the International Agreement on the Neutrality of Laos, signed in 1962, the country was neutral from the conflict raging in neighboring Vietnam. This meant that America was banned from conducting military operations in the country. Placing this equipment in northern Laos would imply that Laos was allowing another country to use their country to mount an attack on a neighbor which had recognized their neutrality. But this neighboring country, North Vietnam, was also using their soil to transport men, equipment, and supplies through the Laos panhandle into Cambodia and South Vietnam (Ho Chi Min Trail). Laotian Prime Minister Prince Souvanna Phouma allowed the TACAN station to be built, but on the condition that it could not be manned by any U.S. military personnel. This resulted in the USAF men in the station being ‘sheep-dipped’ (stripping a soldier of his military uniform and identification so he can pose as a civilian during a covert mission), to make them appear like civilian contractors. USAF personnel had to sign papers that temporarily released them from their military service, and they had to work pretending to be technicians from the company Lockheed Martin. The site was a top priority in the air war over North Vietnam but poorly defended. Tasked with its defense was the CIA-funded Thai Border Patrol Police and the Hmong Clandestine Army, which was commanded by Major General Vang Pao. Because there were doubts about the General’s ability to adequately defend the installation, all the sensitive equipment had explosives attached to it, in case the site was overrun. Since there were sheer vertical cliffs dropping far down on three sides of the base, U.S. officials assumed the enemy could never climb up. That assumption was wrong. The success of the installation began to attract the interest of the North Vietnamese forces, who began to show ominous signs that they were preparing to launch an attack. Paved roads were constructed to take them closer to the mountain, and the person responsible for site security, Major Richard Secord, requested that all USAF personnel be evacuated or armed to avoid loss of life. These evacuations never took place, however, because senior Government officials wanted the outpost to stay operational for as long as possible – because of its importance to the Air Force. Despite the road building, despite the massing of forces, despite the Royal Lao Army being defeated at Nam Bac, despite the brief capture of Phou Den Din (a mere 12 kilometers away from Lima Site 85), requests for reinforcements were still denied because of the political sensitivities of a country at war. Even up to a month before the full-scale attack was carried out, the official line was that close air support could be used to keep the attackers at bay until the moment an air evacuation could be carried out. This decision would prove fatal for the American men on the ground, and their Thai and Laotian allies. came on the 12th of January when the North Vietnamese forces sent four Russian biplanes to try and destroy the radar from the sky. An American helicopter, a Bell 212, was called in to help with the defenses and the crew proceeded to shoot at two Antonov-2 Colt planes with a submachine gun fired through a door. By the 9th of March, the enemy surrounded the mountains and carried out skirmishes along the lower reaches of the foothills. But the decision to evacuate still rested with Sullivan, who also depended on the radio link from the bunker near the helipad to make his decision; this would fail during the battle. On the night of March 10-11, 1968, under cover of a massive artillery barrage, three battalions of NVA forces began to assault the defensive positions. When the U.S technicians heard the attack, they ran out into the open, where three were killed instantly. With the NVA came 20 Hmong defectors who used their knowledge of the area to attack from the rear. A special team of North Vietnamese sappers scaled the cliffs, overran the radar site, and killed more than half of the Americans they found there. The CIA commander, Huey Marlow, was at the helipad and saw the explosion that destroyed some of the installation. He proceeded to fight his way back to friendly units at the summit armed with an automatic shotgun and grenades. After pulling off a rescue mission for a man who had been left behind, Marlow fought his way back to the helipad. For this, he was awarded the Intelligence Cross. Richard Etchberger, Senior non-commissioned officer and his crew at that point had a decision to make. He asked to be evacuated. At 5 am, the Embassy ordered a full evacuation, but when the helicopters attempted to land they drew fire from the enemy forces which caused Marlow to call in an airstrike on his own facility to try and clear the landing zone. First-hand accounts recall Etchberger fighting off the enemy while tending to the wounded in the final stretch. Survivors saw Etchberger load wounded Americans into the rescue slings of hovering helicopters, refusing to leave until all others were loaded. 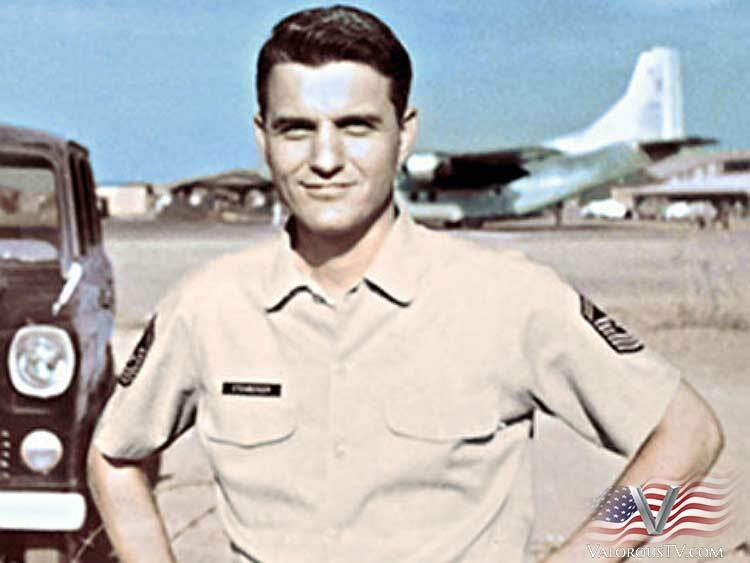 CMSGT Richard L Etchberger who received The Medal of Honor Citation. After finally boarding himself, Etchberger was struck by an armor-piercing round that ripped through the floor of the helicopter. He bled to death on route to an airbase in Thailand. Of the 11 Americans killed at Lima Site 85, eight were accounted for or recovered, as well as some wounded Hmong fighters. By noontime, thoughts had turned to destroying the radar so that the enemy could not use it, and between the 12th and the 18th, 95 sorties were flown to obliterate any intelligence the North Vietnamese could gather, but that also had the grim repercussion of destroying any American remains that were left on the ridge. NVA soldier Interrogated by U.S. In 1973, an NVA soldier who had participated in the attack was interrogated by a U.S. intelligence officer. The NVA soldier, a Sapper, described the attack in precise detail, noting that, when the unit crested the hill and approached the site, USAF personnel, in uniform, ran out of the buildings with M-16s, and it was clear they had no idea how to fire the weapons. Of the USAF contingent, not all were killed; some were captured, and the NVA lieutenant leading the attack ordered the prisoners thrown over the cliff to their deaths; he also ordered the destruction of the site’s communications equipment. did not come about because of a lack of intelligence, but a lack of intelligent leadership. At no point during its existence or battle were the forces on the ground responsible for their own defenses, nor could the Americans use their own men to defend their facility, and it was a loss that marked the beginning of the end for non-communist forces in the country. 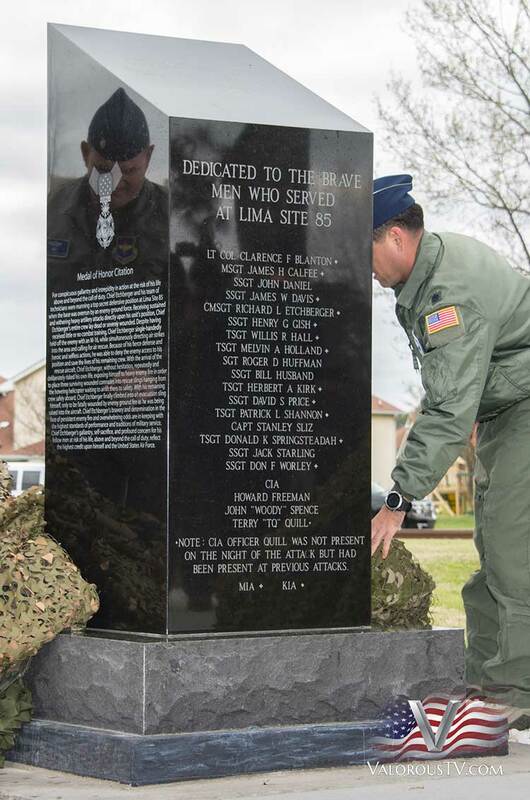 A monument was unveiled at Maxwell Air Force Base, Alabama this month to mark the 50th anniversary of the 12 airmen who died defending Lima Site 85. The families of those who died at the outpost were invited to Maxwell AFB for the ceremony held by the Air Force Enlisted Heritage Research Institute, according to the Air Force.